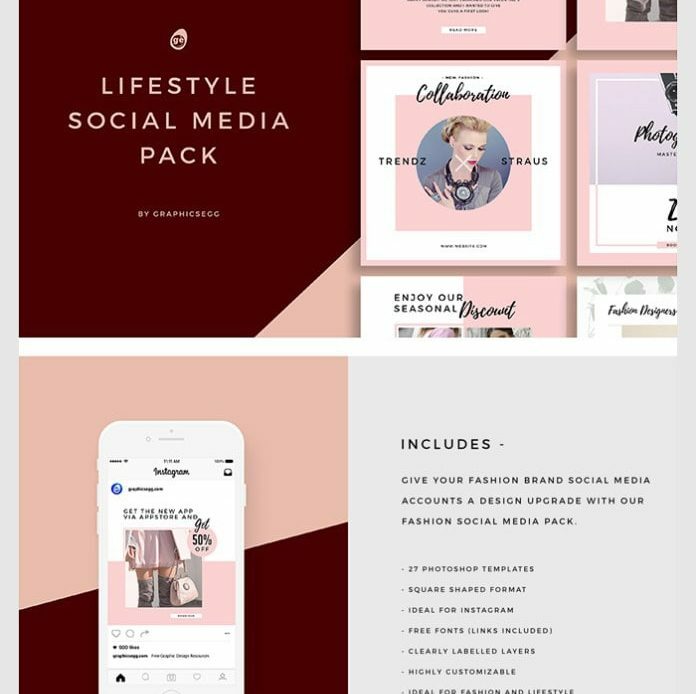 Download 27 Lifestyle Instagram Banners Pack for Free. Re-discover your brand and fall for minimalism. Simple shapes and color palette, pure logic and comprehensive design.